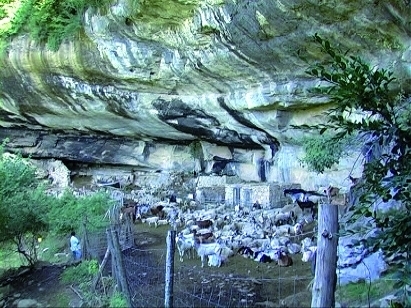 The Vila de Llaés is a cattle farm located in Sierra of Milany, in Llogaret de Llaés. It is a farmhouse with many centuries of livestock experience, currently the managment of sheep and goats it's done by tradicional way, based on the ingrained experience of previous generations. The herd is made up of ripollesa sheep and goat. Looking at characteristic climatic conditions of Sierra de Milany, they realize a small transhumance between summer and winter season. From low lands of; The Vila de Llaés, Tabérnoles, les Corts and Teixidó; Where they shelter from cold. To the high mountain of Cau and Durbau, when good weather comes.